WITHIN months Coffs Harbour could lose its only free disability advocacy service as the National Disability Insurance Scheme rolls out. Disability Advocacy NSW CEO Mark Grierson said the service will have its funding cut on June 30 and cost jobs across the Mid North Coast. “The NSW Government is pulling all funds for disability advocacy services. They’re all putting all their funding in the NDIS,” Mr Grierson said. Mr Grierson said the Coffs Harbour office also looks to losing three jobs. He said other Mid North Coast offices under threat included Taree and Port Macquarie. Disability Advocacy provided people of all ages with disabilities advocacy and help get fair treatment from government departments, at work, university or TAFE and with the NDIS. But Mr Grierson said the NDIS failed to help with state issues, such as education, housing, health and legal matters. 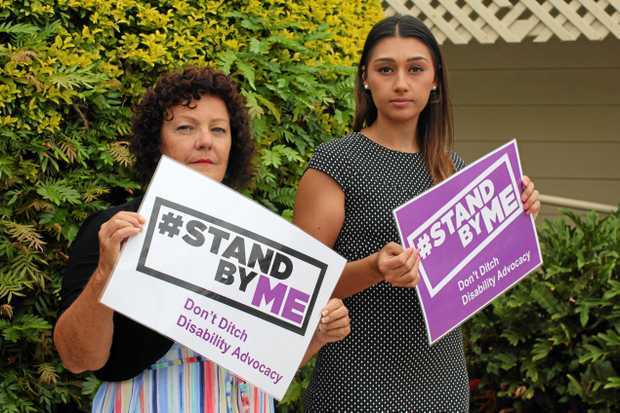 Disability Advocacy started a #StandByMe petition, appealing to state politicians including Premier Gladys Berejiklian to stop funding cuts. Liberal Minister for Disability Services Raymond Williams, in a statement, said the transition to the NDIS represented a “period of change” for people with disability and disability service providers. “That is why the Commonwealth will provide around $130 million each year to connect people with disability to support services,” Mr Williams said. Mr Williams said the funding was on top of $10.6 million provided by the NSW Government. “As a result, there will be more funding available for disability advocacy supports than ever before,” he said.